Our premium quality tooled leather western drop loop style gun belt includes a matching holster sized for a .45 caliber revolver, and fits most barrel lengths 4 to 6 inches. 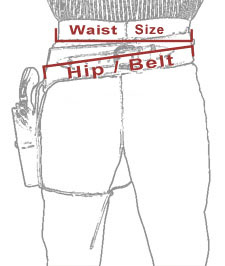 Gun belt is stitched from two 1/8 inch thick leather sections, forming a full 1/4 inch finished belt that will stand up to the rigors of daily use. The belt features beautiful floral tooling on the belt, and ammo loops across the back. The holster has floral tooling and a snap closure. Produced in Mexico by skilled craftsmen, this south-of-the-border original was ubiquitous in the 1800's Southwest. Also available in black leather. Pictured here with our Antique Gray Colt "Peacemaker" pistol replica, sold separately. Fill up the loops of your gun belt with our deactivated .45 caliber replica bullets. This western gun belt is awesome looking and feels great on. Took me a few tries to get the correct size based on the internet sizing instructions and I had to pay return shipping but still very happy with the purchase. Fantastic. Quality and service. Very happy with the gun belt. Etc. I'll be back. Clarke. Watson. Lac. La. Biche. Alberta. Can. Great looks & great quality!! Best quality for Internet purchase or in store ! Very satisfied ! You all are a great group of folks, keep adding more of t hat good old stuff. I ordered 3 items for my husband as we are doing a reenactment of a colonial wedding and my husband is a carriage shot gun assistant and a bartender at the colonial tavern. I was so pleased with the quality and it came really quick. Couldn't ask for better. I can always trust t hat the clothing is made well and will last. I also love t hat I can trust the "fit". Always get orders when expected.